When it comes to the dog food for skin allergies symptoms, one that is guaranteed to heal nine out of ten health problems your dog may have, there’s only one food to get the job done fast and for life. From itchy paws to diarrhea to stiff joints and excess shedding there is only one way to provide food and treatment in one. However, it’s important to understand that unless and until the underlying cause of the allergies is dealt with, it is likely a dog will continue to experience relapses of one or more illnesses. When you discover that food from cans and bags is essentially convenience food or fast food and as with any fast food, shortcuts have been taken in it’s manufacturing which means it’s nutritionally deficient in quality ingredients. Think about kids, feed them Mac Donalds and pizzas every day and you’ll soon see health issues, but feed them a square meal of meat and fresh vegetables and you’ll see them healthy. Well it’s no different for our dogs, they need some fresh food in their diet and that’s why they suffer with all these allergies. Your dog’s canned or packet food is junk food which eventaully makes them allergy ridden (and you’ll see why in a moment). Swap fast food for fresh food and see them come alive with amazing health within a few weeks. I’ve seen this happen thousands of times and I’m still happy when a dogs owner reports back to me of the wonderful health changes their dog is experiencing. So What is the Best Dog Food for Dogs With Skin Allergies? For millions of years, the canine species thrived on a raw natural diet that worked not only as food but medicine as well (a hugely important point missed by dog oners and professionals). All of the same benefits offered then are all the same benefits offered now. A dog on a natural diet will no longer have to be exposed to the following health issues as dogs on fast food kibble and canned. 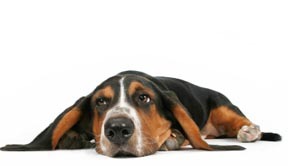 Dog allergy symptoms tend to come in groups although this is not always the case. 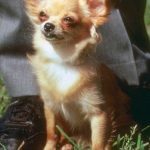 With a simple change in behavior, hostility in particular, a dog is often reacting to Butylated Hydroxyanisole (BHA) and Butylated Hydroxytoluene (BHT) in its commercially prepared dog food. These chemicals are known to affect the nervous system and promote aggression. A natural diet free of man-made chemicals is nourishing to the neurological development of puppies and brain function of older dogs, promoting a longer lifespan. In most dog illnesses symptoms such as loss of appetite or weight loss or weight gain are almost always diet related. While dogs have periods of fasting and slight changes in weight are normal, grain based high sugar dog foods can lead to everything from diabetes to thyroid problems prompting dangerous shifts in weight. On a raw diet, a dog’s system is able to balance its chemical and hormone levels naturally with the dog determining the right amount of food rather than using strict measurements and calculations. Whether human or canine, vomiting and diarrhea are a body’s way of getting rid of an inadequate food source. Luckily for humans, they have a choice as to whether or not they will eat the same food that made them sick ever again. Our canine friends do not always luck out. When looking up dog illnesses symptoms such as vomiting and diarrhea are often attributed to an allergy. A switch in dog food types is often the recommended approach. However, since all dog food is cooked and dogs cannot obtain nutrients from cooked food sources, the problem often persists. 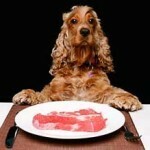 A natural diet allows a dog to obtain the nutrients its body is starved of. The enzymes found in a raw diet often put an end to chronic vomiting and diarrhea within weeks. With a number of dog illnesses symptoms show up in a dry, dull and sparse coat. There may or may not be skin eruptions as well. Since the chemicals, preservatives and additives in commercial dog food cannot be processed by a canine’s system, the excess toxins will be excreted through the skin. With a natural raw dog food diet, the enzymes and nutrients act as building blocks and there are no man-made toxins to excrete. 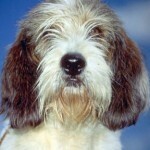 A dog’s coat and skin are replenished to its natural vibrancy. In serious dog allergy symptoms such as bad breath are often the sign of the biggest canine problem of periodontal disease. Canned foods or kibble often stick to teeth and gums and feed bacteria in dental plaque that eat through the enamel of a dog’s teeth. By switching to a natural diet, your dog’s teeth will be cleaned naturally thanks to gristle and bones and a lack of byproducts that linger in the mouth. Watch the video below for more dog skin allergy symptoms your dog may have. Get my free report below and discover more about the best dog food for dogs with skin allergies and other economical home remedies that heal allergies fast without costly vet visits, drugs and expensive precription diets. Raw Food Dog Diet – What to Feed Your Dog?